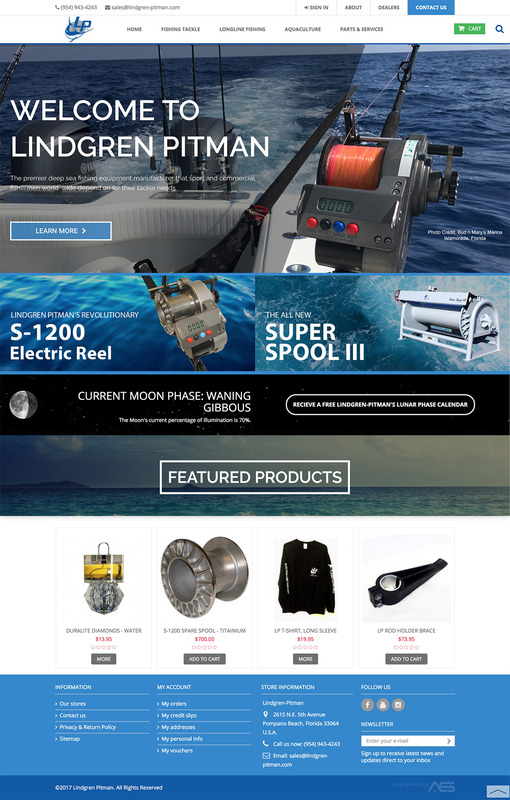 While working at Advantage Services, I built a custom e-Commerce site for a fishing equipment manufacturing company. 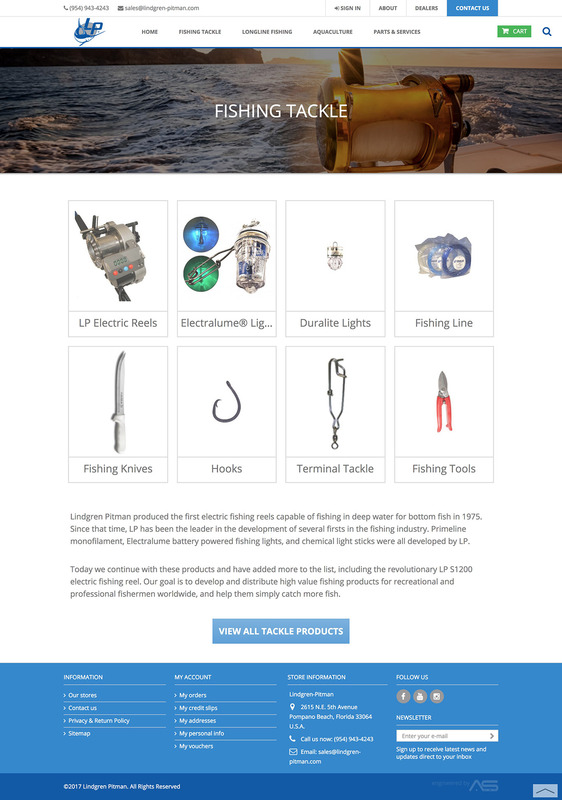 I helped a medium-sized fishing equipment company migrate from their legacy e-commerce platform over to PrestaShop. I was able to redesign and restructure their store, as well as add features such as: customer groups for applying discounts to dealers or other customer types, and tax exemption for specialty customers. I was solely responsible for migrating Lindgren-Pitman's old product data, and designing their store.